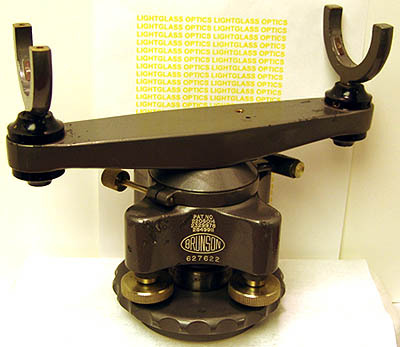 The Brunson 89 Alignment Telescope Rotating Mounting Base will accept any telescope or collimator with a A.I.A. Standard 2-1/4" diameter barrel. As you can see, it allows precise positioning, just like a theodolite or transit. The base has a standard 3 1/2-8 thread mount which will fit tripods, optical tooling stands and mounts.